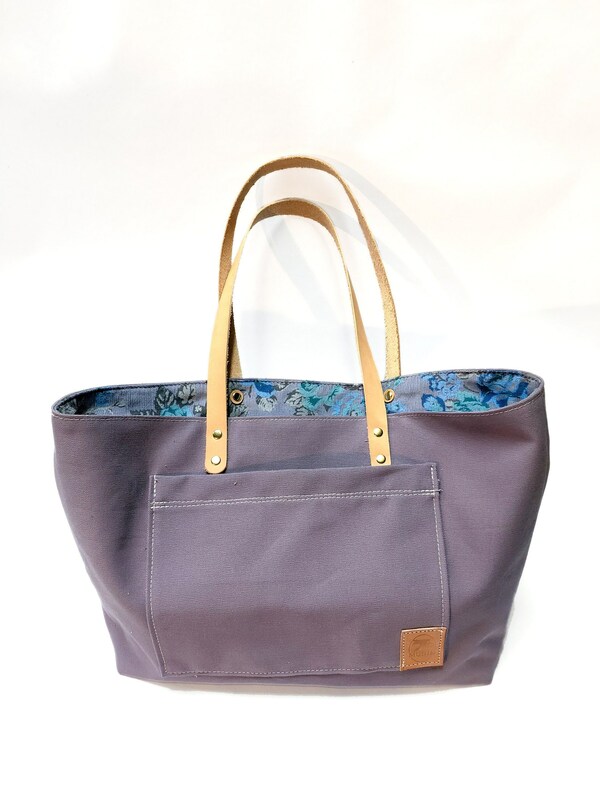 This bag is purple canvas and lined with vintage floral fabric. A protective leather base is stitched sturdily onto the bottom of each bag. A fabric wax such as Otter Wax can be applied to this cotton canvas tote if extra protection is desired.